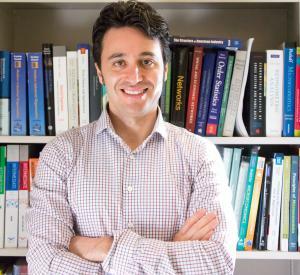 Javier Donna is Assistant Professor of Economics at The Ohio State University. He received his Ph.D. in Economics from Northwestern University and joined the economics’ department at Ohio State in 2012. Dr. Donna is originally from Argentina where he received a B.A. in Economics at Universidad Nacional de Cuyo (Mendoza) and an M.A. in Economics at Universidad Torcuato Di Tella (Buenos Aires). Professor Donna’s research interests are in industrial organization and applied microeconomics. His research focuses on estimating demand and its implications for price competition and market power. His research is centered on empirical auctions and models of strategic interactions, specifically, static and dynamic discrete choice models, which are widely used in empirical industrial organization. Professor Donna was awarded the Young Economists' Essay Awards at the 2012 conference of the European Association for Research in Industrial Economics (EARIE). He was also awarded the Young Economist Prize at the 2012 edition of Jornadas de Economía Industrial. At the graduate level, professor Donna teaches Empirical Industrial Organization, a second year field course in the Ph.D. program; at the undergraduate level, he teaches Government and Business, and Economics of Regulation and Antitrust in the honors program. Professor Donna has served as referee for several journals.